F1 stands for a “first generation hybrid“. When two strains with completely different genotypes breed, for example, a Master Kush with Durban Poison, their offspring will be an F1 hybrid. 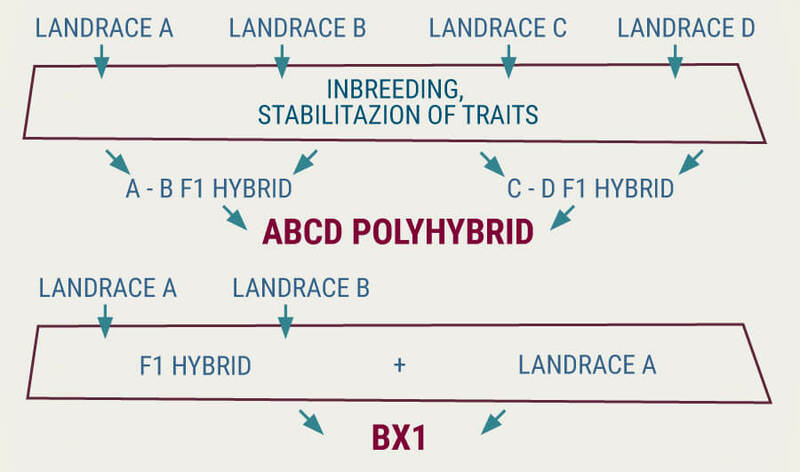 When this hybrid is bred together with another F1 hybrid from the same batch (a sister or a brother), it creates an F2 hybrid. When this process is repeated, it creates an F3, then F4, and so on. After F5, the plants can be considered as IBL.